Reliable in that I do not want the service here today, gone tomorrow. Fast in that I do not want it to take weeks to upload 15 GB. Data is easily assessable from the web and PC. Secure in that I do not want my data to be openly readable. 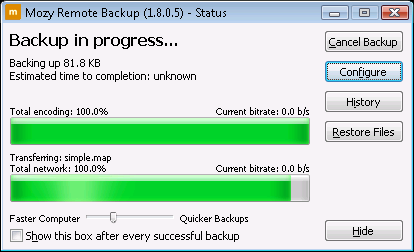 Configurable in that I want control over what is backed up. Unlimited in that I didn't want my bill to rise over time. A nice to have would be Versioning of my files, where versions over time of the same file are kept in tact. After looking at Amazon, xDrive, and Carbonite I eventually stumbled across a service called Mozy, it seemed to have everything I wanted for a price that worked for me and my wife. What I personally liked about the service was how easy it was to get going, with literally 3 clicks of the mouse I was backing up my hard drive to the Mozy servers. It took me only 3 days to backup my almost 20 GB of data, I let the service run day and night to make sure everything was backed up in the least amount of time as possible. 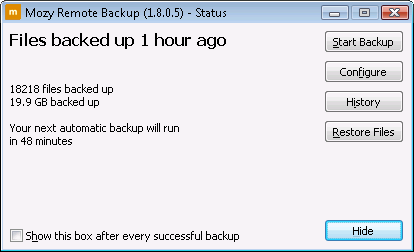 The Mozy backup process runs as a Windows Service, so it is unobtrusive and you can just start up your computer and forget it is even running. 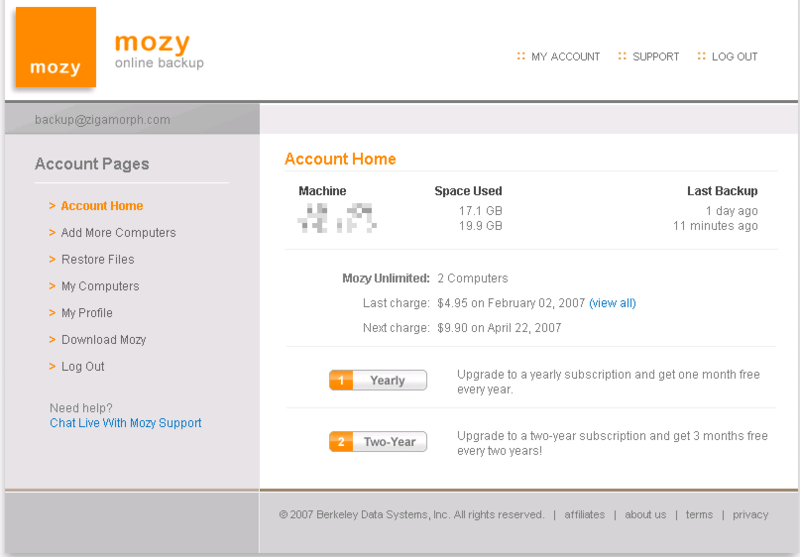 The Mozy website is clean and very easy to use, it is your main portal for modifying your account information, such as billing and address information, adding or removing computers from your account, and doing a web restore. I have used the website a couple of times to grab presentations that I left at home on my computer by mistake. It is not the intended use of the service, but it is nice to know my information is at my finger tips as long as I have internet access. 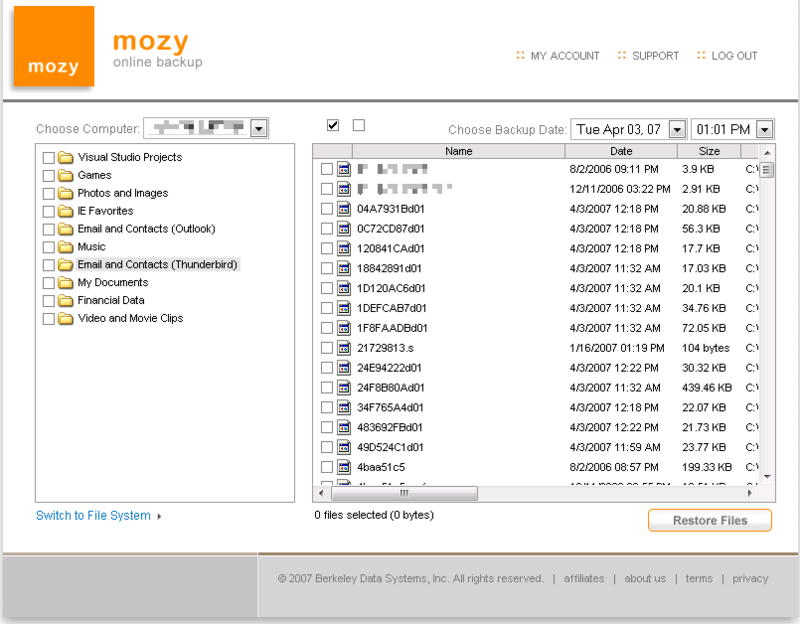 Mozy does a great job at quickly packaging up your files so they can be downloaded. What you do to restore your files, is login to the website, select the files you want restored, and they then start the packaging process. You will receive an e-mail when the process is done packaging your files for download, the packaging process will vary depending on how many files you want restored. For instance I tested the service by having them package my 20 GB worth of data, and it only took 20 mins from me clicking the button on the website till I received notification that I could download the files. The package that they create is a 7-Zip executable, which I have to give them credit for because it has some of the best compression available. Since it is an executable you do not need to have the 7-Zip program installed on your computer. From my experience it is a very easy process from start to finish, in a time when people are probably pulling their hair out because they lost all their data, the ease of the restore is welcomed. If you have a slow broadband connection, you can also choose to have them FedEx you files to you on DVD for a nominal price. Mozy is integrated in to the Windows Explorer shell, I am using Windows Vista Ultimate x64, and I haven't used the shell integration all that much, however I have used it once or twice to retrieve previous versions of my files. It works just as it is suppose to and is much easier than doing a restore from the website especially when you only need one file. The only thing that really bothered me was the naming under Windows Vista was very similar to the Windows Vista service that does the same thing for locally stored backups. 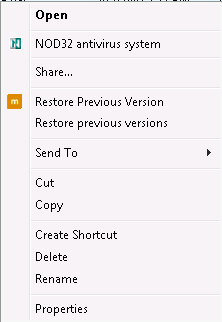 I would love to see Mozy integrate their restore system with the Windows Vista restore system, it would be a welcomed value-add feature. One of my favorite features of the Mozy service is the level of configuration and control I have over how my files are backed up. 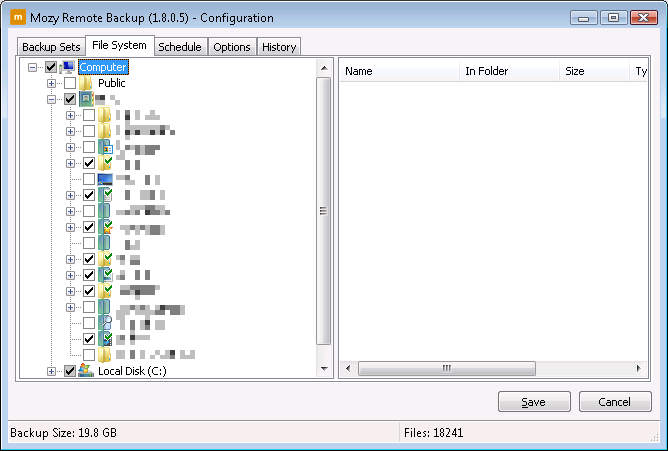 In addition to the ability to create backup sets, which is the idea of grouping all your Music or Documents or anything else you want to define in a backup package that can be downloaded. 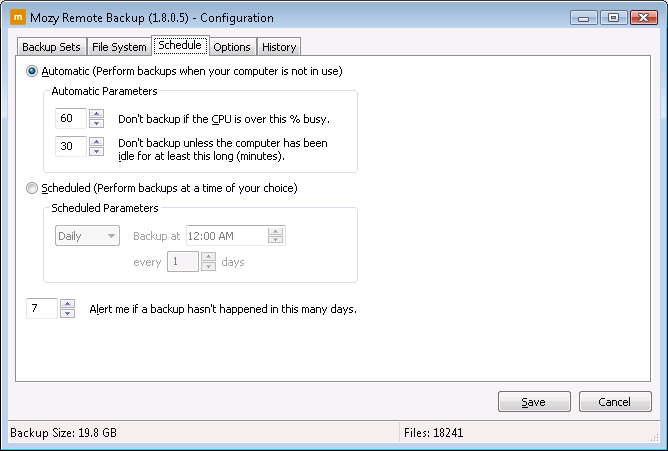 The Backup Set Editor has much of the same feel as the iTunes Dynamic Play List, which makes it very easy to define some custom and complex rules for you backups. Mozy customer support is great, they are very responsive to any problems you might have. I will not do them justice by writing about it. So I thought I would include an e-mail they sent out January 24, 2007 that really sums up how they treat their customers. If you are a long time reader you know how much I love to hear stories about companies doing right by their customers. If you had a really frustrating experience, click here to get 3 months free service added to your account. If you hit some glitches, but everything mostly worked out for you, click here to get 2 months free service added to your account. If things went just fine this last month, click here to get 1 month free service added to your account. But if you'd rather just let us know you're doing okay and you don't need the extra month of free service, click here to let us know. If you have any questions or feedback, don't hesitate to email me personally. We're here to protect your data - and we thank you for hanging in there during our growing pains. -josh Founder, CEO Mozy.com, Berkeley Data Systems, Inc. I highly recommend Mozy to any and all of my readers. As a fellow coder there is no worse feeling then losing your code that you have worked on very hard and built up over the years. Or losing any of the precious moments that you have in your digital photo albums. Having a good backup plan is important in this day and age and Mozy is the right solution for the Home user. Software is very user-friendly and customizable at the same time. 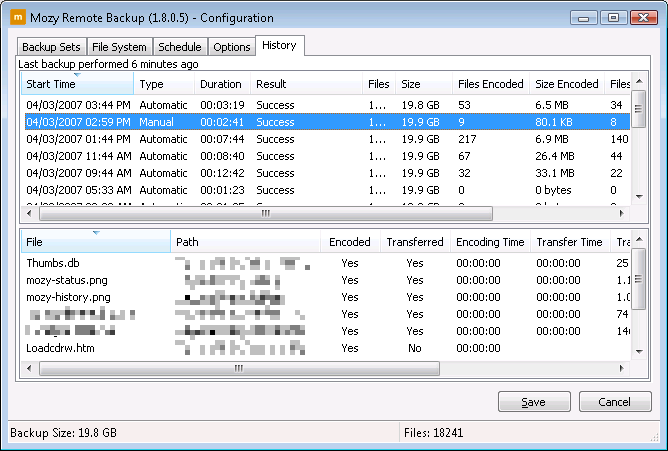 Automatically backs up all your files, with no user intervention. Very small memory footprint, so it will work on most if not all machines from Year 2000 on. If you're on dial up or a slow internet connection, backups could take weeks. 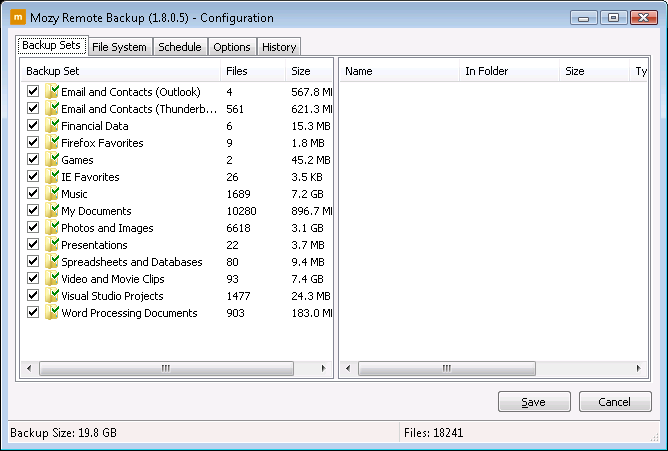 If you are a business user I recommend trying Mozy Pro, in addition to everything I listed above, it has some additional features useful to businesses like a great service that has the ability to backup SQL Server, Exchange Server, as well as your File Servers. If I ever have the chance or the need to try Mozy Pro I will be sure to do a review.